PET is a polymer which is enjoying substantial growth as a packaging material - across global markets and for diverse applications. 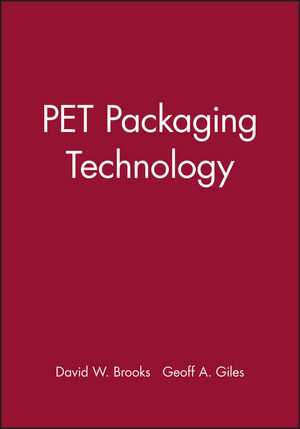 The growth of PET into packaging, as a replacement for glass, metal and other plastics materials, has been extraordinary. No other rigid plastics packaging sector has experienced the level of growth of PET bottles over the last 20 years. PET is now a commodity polymer competing directly with polyethylene, polypropylene and styrenics in the markets for food and beverage packaging, as well as for other products. This book provides a one-stop source of reference for all aspects of this important sector of the packaging industry. To our knowledge, no similar book is presently available. Environmental and recycling considerations are addressed in a special chapter. Chapter authors have been drawn from the packaging industry or sources close to the packaging industry. The volume is directed at packaging technologists, those involved in the design and development of packaging and those responsible for specifying or purchasing packaging. Introduction; Commercial considerations; PET materials and applications; Barrier materials and technology; PET film and sheet; Injection and co-injection preform technologies; One-stage injection stretch blow moulding; Two-stage injection stretch blow moulding; Injection blow moulding; Hot-fill, heat-set, pasteurization and retort technologies; Environmental and recycling considerations; References; Index.